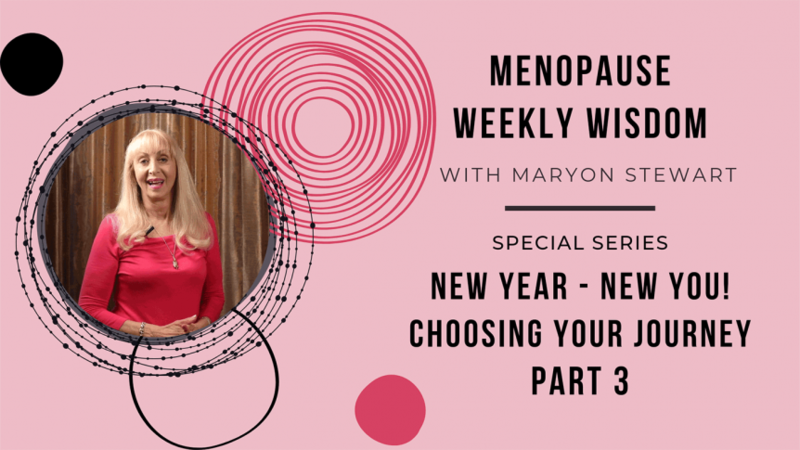 Once you have made the decision to manage your menopause symptoms using the natural approach, the next hurdle is how do you go about doing that. I hear this all the time from members in my Facebook Group - Making the Midlife Switch. The tendency is for women to advise one another, often giving random conflicting advice which isn’t science based, resulting in frustration and desperation with no end in sight. This week I’m focusing on choosing supplements that are likely to help you overcome your menopause symptoms. For finding the right supplements for your symptom set is key to a successful recovery journey. However, making choices about which supplements to take isn’t as simple as it seems. Research shows that many of the beautifully packaged supplements you see in the stores often do not work as they promise, and in some instances, these supplements don’t contain what they say on the label. Shocking as that sounds, this has been a common practice in the supplements industry for some time as it’s not regulated. A few years back, I was asked to recommend a product that contained 39 milligrams of isoflavones which is a naturally occurring oestrogen. As I was looking for the research to support it, an independent analysis took place including forty isoflavone rich supplements. The results revealed that only two of the forty supplements contained what they said on the label. And the product I was researching turned out to only contain 1 milligram of isoflavones. At first, I was completely gobsmacked when I read the results. Then I became angry. To think all these women who have good intentions to help themselves, end up being duped by companies producing products that are supposed to help them. That’s why I only recommend supplements that are standardised and science based and where possible have been through properly conducted clinical trials. All my recommendations are based on medical research which I consider to be very important. Think about it, everything you swallow influences what actually goes on in your body. So just as we need to be careful about the side effects of Hormone Replacement Therapy (HRT), we also need to be cognizant of supplements we take. All the products I use for my programmes have been shown to be safe and effective in clinical trials. If you would like to learn more about the products I recommend, visit my shop at maryonstewart.com/shop. Each product contains an explanation on why I have chosen to use that supplement. Getting through menopause is not about taking a “magic” pill. I can’t emphasize that enough. Just swallowing a pill isn’t going to give you a “quick fix” and make your better. First you must realise that there are many things going on in your body at this stage of life. You must first meet your needs to get back into good nutritional shape. I like to describe my programme as a pie with different sections in it. You need to take a taste of each piece to get yourself back into good nutritional shape. If you would like to learn more about my programmes, join my virtual class at maryonstewart.com/virtualclass. In my virtual class, you will learn what is going on in your body including the relationship between our diet and hormone health. So many women have nutritional deficiencies at this life stage which are important to correct in order to stand a chance of feeling well. Plus I explain how to fool your brain into thinking you have normal circulating oestrogen by implementing Mother Nature’s naturally occurring oestrogens during menopause and perimenopause. In addition these naturally occurring oestrogens help us future-proof ourselves from dementia, osteoporosis and heart disease in the future. Now that you are taking action, where do you find the right information? For those who want to self-help, you can have a few options. You can just consult ‘Dr Google’, but then you will have to wade through the millions of results, which if you have the time, might work for you. Or you can go to my website and read my Weekly Wisdoms, sign up for newsletters or join my private Facebook Group - Making the Midlife Switch. f you want some science-based self-help to give you a more structured approach, my 14 Day Programme details how to get yourself back into good nutritional shape with dailly videos and text on how to manage your menopause. Go to maryonstewart.com/14day. For those who struggle and need a hands-on, step-by-step approach, my 6 Week Cruising Through The Menopause Boot Camp provides you with all the materials to get your symptoms under control and help you to design a tailor made programme to help you to overcome your particular symptoms.. Plus you will receive full support from myself and my staff, the weekly live sessions with me reviewing your progress, a private Facebook Group, forums and a tailored programme that meets your individual needs. To learn more about my boot camp go to maryonstewart.com/cruising. The new year boot camp starts next week. If you would like advice about which option to chose get in touch with [email protected] and she will find a time for us to speak. There are many ways you can get help. You will need to decide which approach works best for you, your budget and lifestyle. Remember to do the research and do not depend on the advice of others. Make sure whatever you do is based on science not old wives tales. When taking supplements, only use those that have proper clinical trials. You can learn more about the supplements that I recommend by going to my shop at maryonstewart.com/shop. Have realistic expectations - there is no “magic pill” to make your symptoms disappear. You will need to develop an entire programme that focuses on every part of your journey. To learn more, come to my virtual class at maryonstewart.com/virtualclass. Decide what path to take whether it be self-help, managed self-help, or a hands-on approach - make sure that the program features science-based information. For more information on my free offerings, go to maryonstewart.com or register for my free virtual class. For managed self-help learn more about my 14 Day Programme at maryonstewart.com/14day. For those really struggling, think about joining my 6 Week Cruising Through The Menopause Boot Camp at maryonstewart.com/cruising. Click on video to hear more about it.